Grush: The Gaming Toothbrush looks to make things easier for parents by making brushing your teeth a game. The gaming toothbrush uses Bluetooth motion sensing, paired with interactive mobile games to instruct kids on how to brush their teeth. Parents can then use the mobile app to track their kids' results. Many of us just didn't learn to brush the right way. With Grush, kids learn how to brush 30 seconds per mouth quadrant with the proper angle. The Bluetooth motion sensing detects each brushstroke and points are scored in the game for the correct amount. Chase and brush away the monsters hiding in your teeth. Add-on and holiday packs will continue to provide new and interesting challenges for kids to enjoy. Use the Grush Gaming Toothbrush as a conductors wand to play music while brushing your teeth. Have a giraffe friend and take care of him by giving him brushes. After each game, kids are provided a "Grush Factor" score that measures their technique and brush consistency. This score is uploaded to the Grush Cloud where parents can access it on a host of devices. 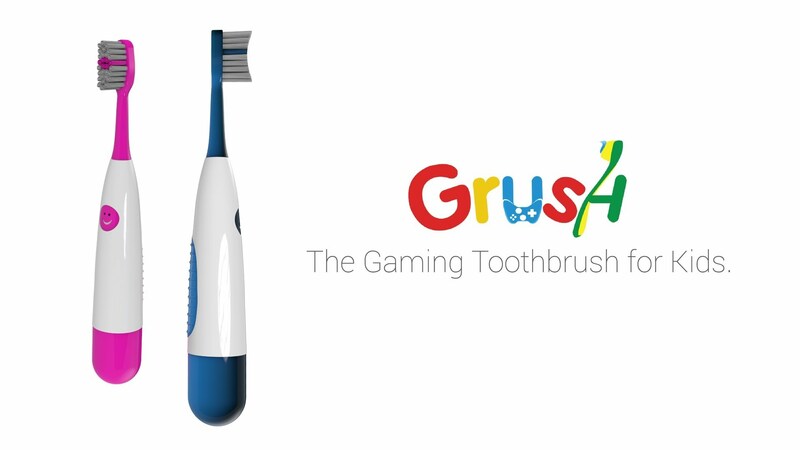 Grush: The Gaming Toothbrush is available now for $59.00. When you order the gaming toothbrush, it comes with the Grush Gaming Toothbrush, an extra brush head, access to the Grush Games, and lifetime Grush Cloud data tracking.